Beef Broth Closeup. Bone Broth With Meat, Carrots And Parsley In Pot. Lizenzfreie Fotos, Bilder Und Stock Fotografie. Image 99476666. Standard-Bild - Beef broth closeup. Bone broth with meat, carrots and parsley in pot. Beef broth closeup. 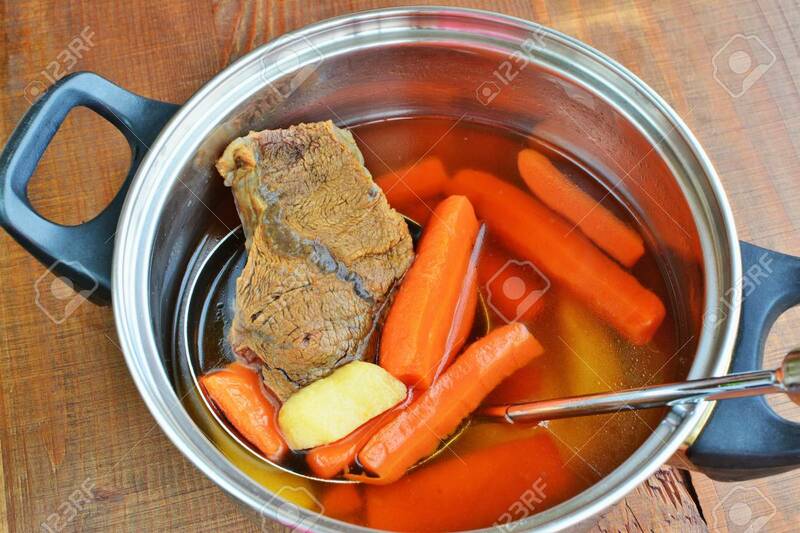 Bone broth with meat, carrots and parsley in pot.